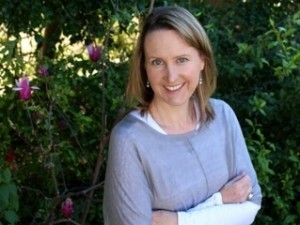 Jude is a natural food expert who has been involved with the organic and wholefood industries for almost 20 years, teaching and food coaching. This is one of her wonderful recipes I love to make and eat, and I hope you do too. Preheat the oven to 175C. Line a 1 litre loaf tin with baking paper. Don’t cut the corners of the baking paper to fit- fold them instead. 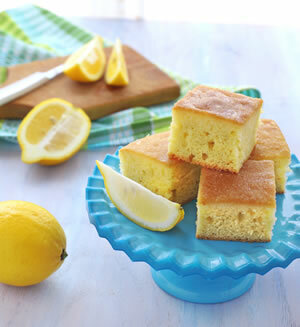 This will allow you to pour the lemon syrup onto the cake when it is cooked without it seeping onto the tin. Sift the flour and baking powder into a small bowl, add the coconut and whisk through to combine. Set aside. Using electric beater, beat the butter and sugar in a bowl until well combined. Add the egg and bead well until fluffy. Add the vanilla, lemon zest, flour mixture, yoghurt and 2 tablespoons of the milk. Gently beat together until just combined. If the batter is still very dry, add the remaining milk. Spoon the batter into the prepared tin and bake for 40-45 minutes, or until a skewer inserted into the centre of the cake comes out clean. While the cake is baking, put all the lemon syrup ingredients in a small saucepan. Bring to the boil and check for taste, adding more sweetener if desired. Continue to boil until reduced by about one-third. As soon as the cake comes out of the oven, spoon half the lemon syrup over it. Leave for about 10 minutes to absorb, then remove the cake from the tin. Rapadura sugar is dried cane sugar that is the least processed sugar which retains some vitamins and minerals. You can usually buy from organic food shops. This entry was posted in Recipes and tagged coming home to eat, Jude Blereau, lemon cake, lemon tea cake, rapadura sugar, rapadura sugar recipe, Recipe, wholefood for the family, wholefood nutrition. Bookmark the permalink.